The path disappears behind the foreground slope as it loses height then regains it on scree rising to the start of the Shamrock Traverse. 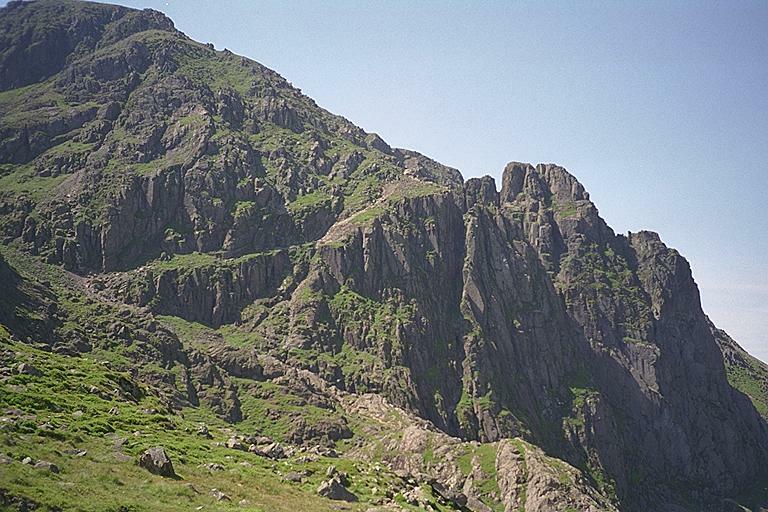 The top of this scree is just in view and the path follows the Traverse, a grassed area is very clear, to a point where, around the centre of the picture, the path becomes very clear rising towards the top of Pillar Rock, on the right. Smaller version of this picture.